Finally, the summer heat pops up! 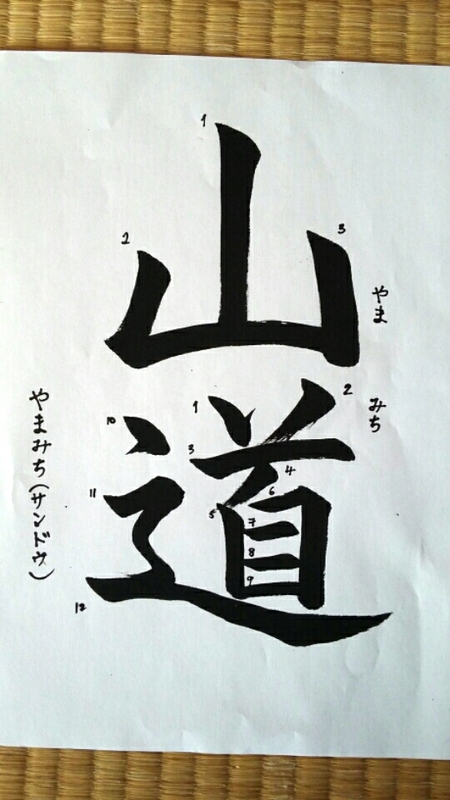 I post the Otehon text which has the technique of SHINNYO”. 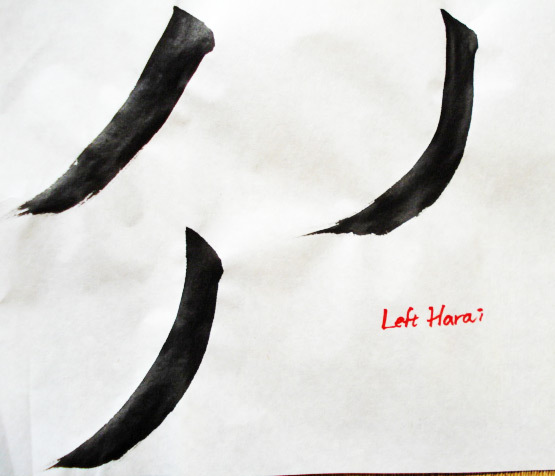 It is not an easy technique to practise, but a very important one to learn in the art of Shodo and in the Do-Art. 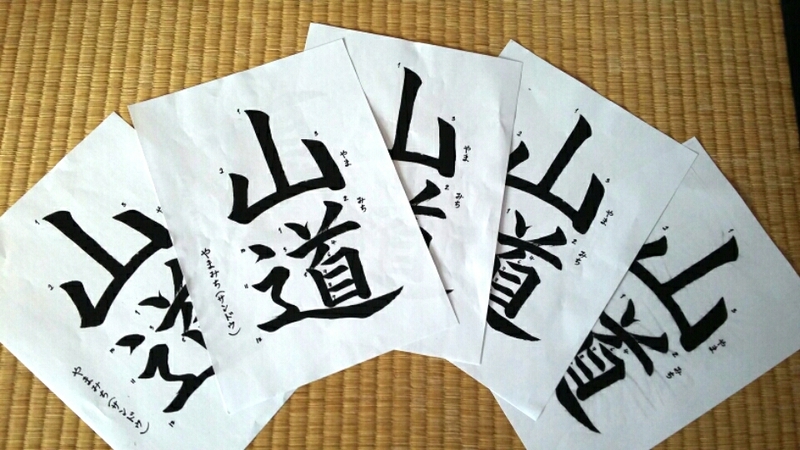 Yama Michi”- can be read as San Do”. -Big or medium size brush, both hard or soft. 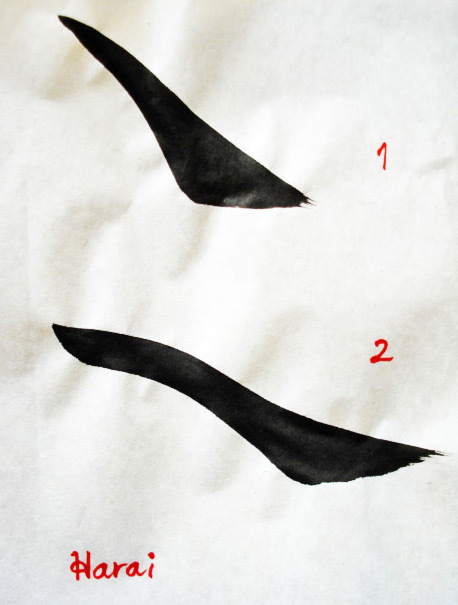 -山: A combination of the side and the direct brushing techniques. A very strong corner technique. The dominant middlebalance. Rather thick and big. – 道:1 x rectangular box + 1x”L” shaped composition. The key practice is a long flat MIGI HARAI(RIGHT SLUDE-OUT) in the Shinnyou radical. Always keep the brush upright. Concentrate on lifting the Qi energy up through your belly button. The extra “S” movement practice can be very effective. 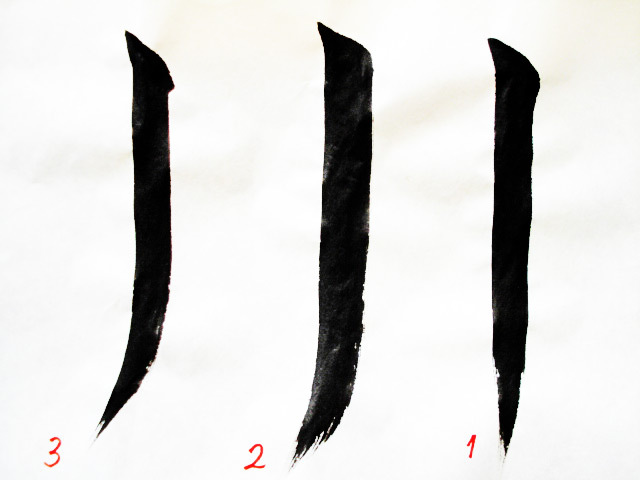 -“SHINNYOU” in Michi/Do is one of the essential techniques in Shodo. Always ask your teacher again and again till you get the right brush movement and understand the correct energy shifting in this technique. -The “up and down practice” as a warming-up exercise is recommended specially for the vertical energy movement. 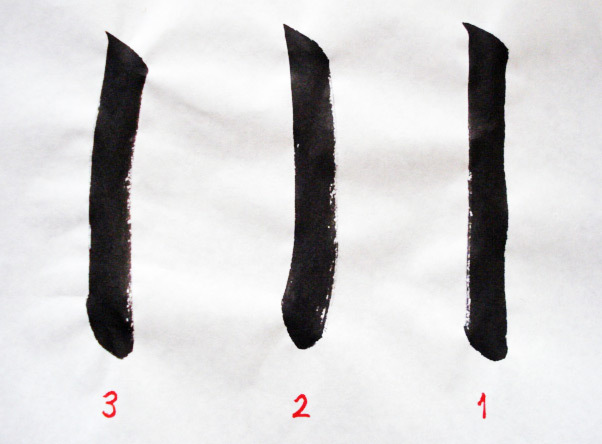 This is one of the essential Shodo techniques – requires a Hands-On teaching with your teacher.I would recommend to practise this “right-brush out technique” after you feel comfortable with “left brush out technique”. They are more advanced and need more practice! First one practises No.1 and then moves on to No.2. Please get supervised by a calligraphy teacher. How to” will be added later! Differences are the energy shifting and brush movement- more details will be added later! There is three types of vertical lines. One of the basics and the important techniques is called HANE. I normally call it as “jumping technique”. 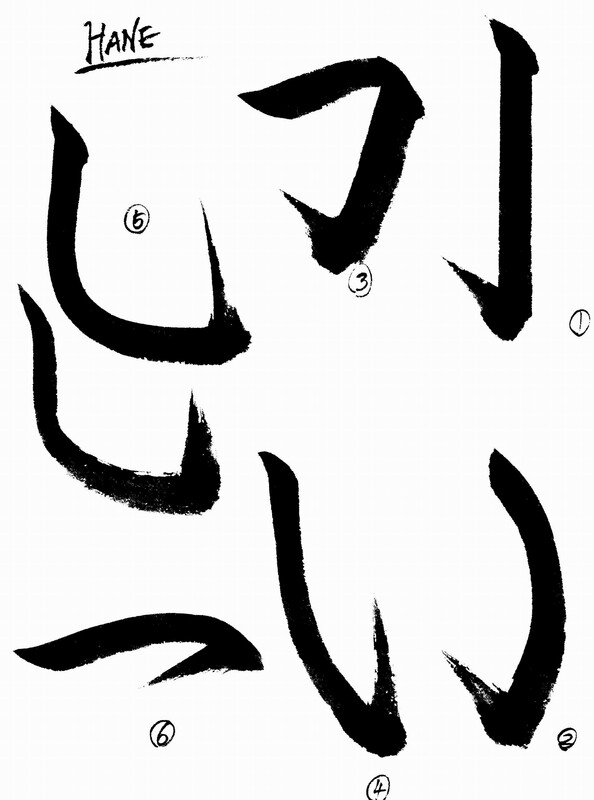 Here I put various 6 HANE examples. Here I put basic 5 Tens.